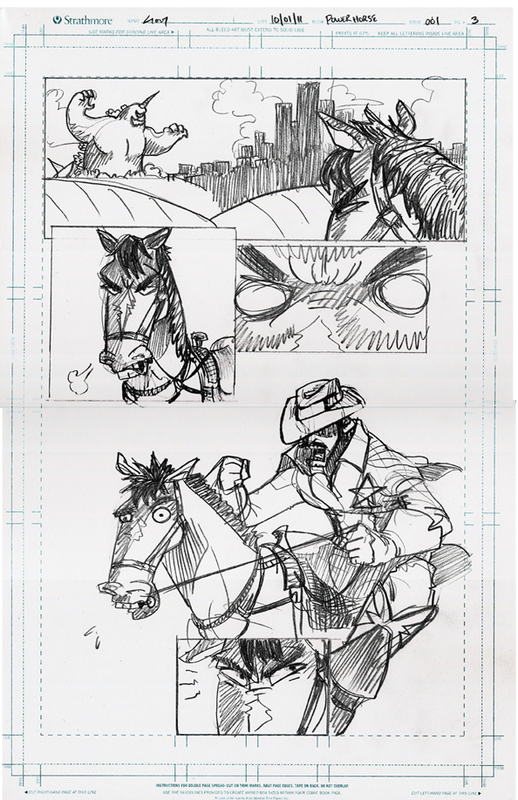 This is a preview of a page from my Power Horse comic. It's taking awhile to get the first issue done, but I'm full steam ahead on the pencils. On this page, we see a lone horse watching the destruction of Citytonburg and being none too pleased, when his rider jumps on him and orders him to get a move on. It's time to save the city, and Decoy and Retribution Ranger are answering the call! Stay tuned for more from Power Horse!